We want to use isotopes to see what your cat might be eating beyond the food bowl. Based on the ‘you are what you eat’ principal, analysis of carbon and nitrogen isotopes in your cat’s hair can give us clues about their diet. By comparing the isotopic signature of your cat’s hair with the signature of their pet food, we can see if your cat is getting food elsewhere (i.e. if they are consuming wild birds or mice). Begin by cleaning your cat’s brush. If you have more than one cat in the study, please be sure to only collect hair from one cat at a time so as not to contaminate the brush with the hair of another animal. 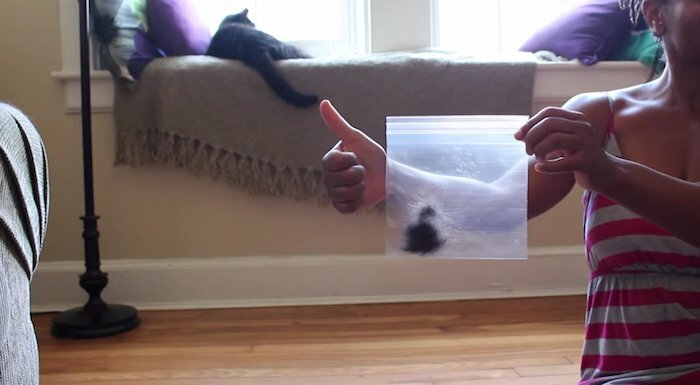 Pack a tablespoon with your cat’s hair. This may take more than one brush full. Place your tablespoon of hair in a clean, sealable Ziploc bag. Please be sure that you have enough hair. If you do not have a cat hairbrush, no need to worry. 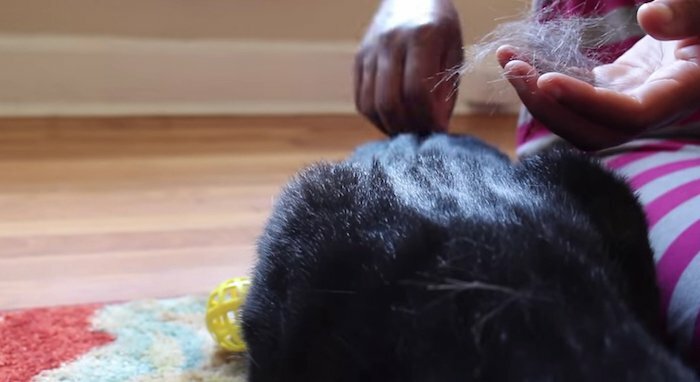 You can collect your cat’s hair using your hands. Scoop one heaping tablespoon of dry cat food, only. Do not send wet cat food. Place the tablespoon of dry food in a clean, sealable Ziploc bag, separate from the cat hair. If you feed your cat wet cat food, please include the brand name and any details on the notecard with the other identifying information. 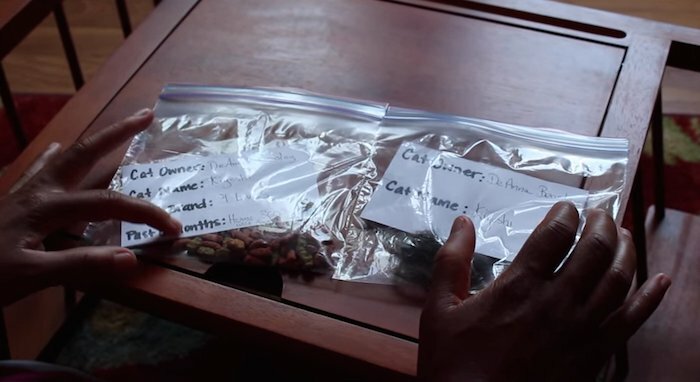 Any variations in your cat’s diet for the past six months. If you’ve had a change in food brand and type, or supplement with wet food, please write this here. If you have multiple cats in the study for which you are sending us hair, and they all eat the same food, you only need to send one bag of food. Please include your full return address. Postage shouldn’t be more than $4 if mailing within the continental United States. At this time you will also need to print out and sign the updated Informed Consent Form for Research and include it in your mailing envelop or sign it electronically through your participant questionnaire. If you’ve been loaned a unit from the Cat Tracker team in Raleigh, you can return the GPS unit and harness in the same envelope. The samples we receive will be analyzed by Dr. Robert Feranec, a collaborator at the New York State Museum. Find out more about Dr. Feranec and his research here.